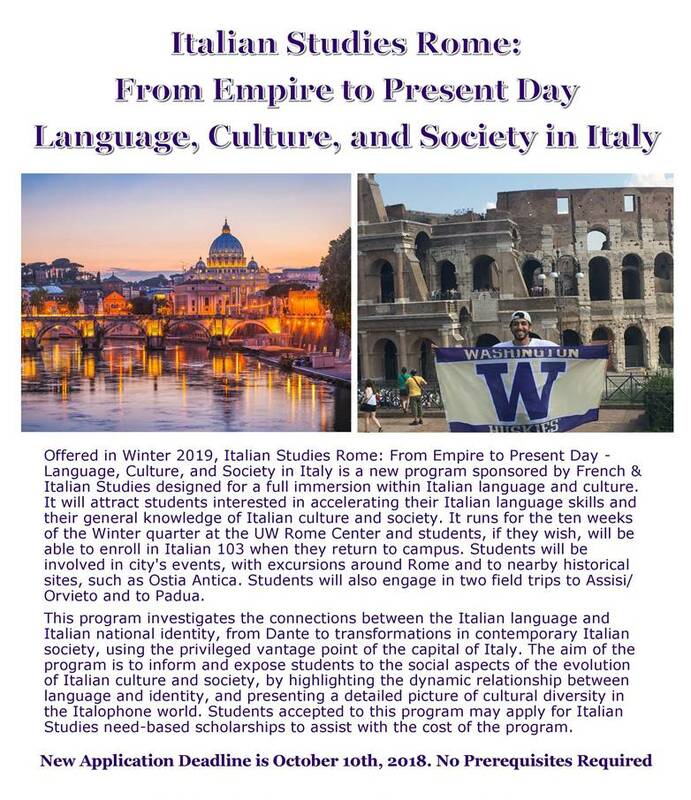 Italian Studies Rome Study Abroad Program in Winter 2019 Still Has a Few Spaces! The new Italian Studies Rome Study Abroad Program in Winter 2019 still has a few open spots. The new application deadline is October 10th. Please see the flyer below and attached. For any questions about the program please email Associate Professor of Italian Studies and Program Director Beatrice Arduini (barduini). Click here for program details and to apply! Comments Off on Italian Studies Rome Study Abroad Program in Winter 2019 Still Has a Few Spaces!